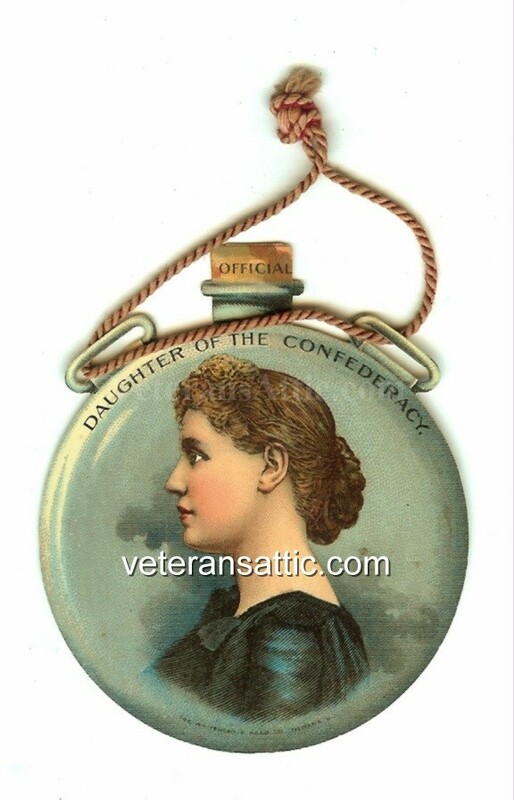 A beautiful celluloid badge in the shape of a canteen. 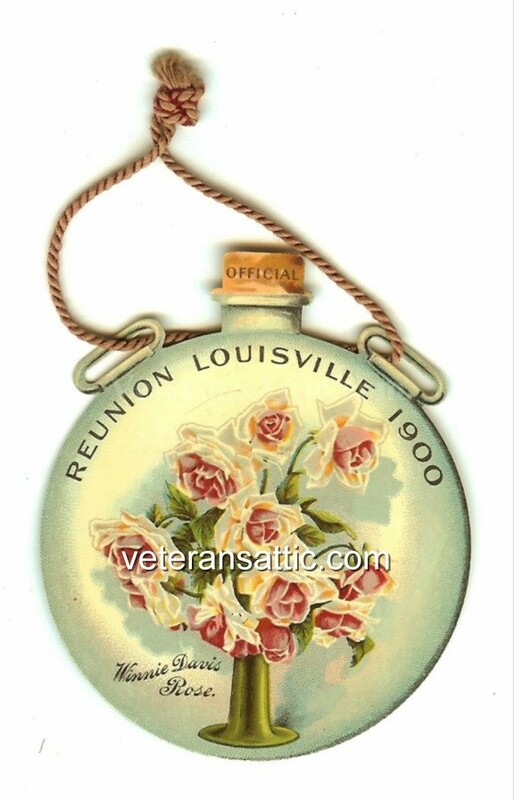 The first side has Winnie Davis, the daughter of the Confederacy, on it and the second side has the Winnie Davis rose in a metal stand and "Official Reunion Louisville 1900 - Winnie Davis Rose" written on it. This is truly a beautiful celluloid badge with great color. The badge tie is still attached which is not normal for this badge. The ties were taken off the badges and lost.